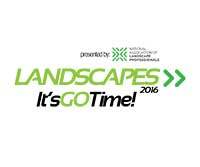 LANDSCAPES (formerly Green Industry Conference or GIC) is the largest, most highly anticipated landscape and lawn care industry educational and networking experience of the year. Held in conjunction with the GIE+EXPO and Hardscape North America trade shows which host nearly 750 indoor and outdoor exhibits, this event provides more than 40 educational sessions featuring the industry’s front-runners and most successful entrepreneurs, and other leading business experts. We focus on topics that address emerging trends, and strategic solutions to common (and uncommon) business questions. LANDSCAPES has education for every learning style, so you can participate in facilitated round-table discussions, case studies, town hall panel discussions, deep-dive workshops, lightning round 20-minute presentations, and one-on-one peer mentoring sessions. You and your entire staff will be inspired, increase knowledge, build new relationships, and achieve business success.